I am having trouble deciding on which ski and binding set would be best suited. So my questions are: 1. knowing the above factors, is there a ski setup that could handle both downhill and backcountry at speed? 2. knowing downhill will probably need a separate setup what type of ski could handle like a backcountry ski but with a skating motion in a cross country binding/boot setup? You and I would probably get a long very well. I ski downhill exclusively in the back country, and whenever I put my XC skis on I'm typically also wearing my skijor harness and getting pulled around by my dog. I have gone skjoring in deeper snow with m AT skis, but can't cover any great distances at speed or without exerting excessive amounts of energy, and light touring skis are just awful trying to descend slopes in any amount of pow. I've put a lot of thought into a system that would work for both sports, and I've decided my next setup is going to be for off-track touring. Examples of light backcountry touring systems include 75mm 3-pin Tele (light Telemark), NNN BC (New Nordic Norm Backcountry) and SNS XA (Solomon Nordic Norm X-Adventure). This is about as in-between Alpine Touring and skate-skiing as you can get I think, and will give you the best all-round experience for off-trail exploring with your dog(s). It's either this, or you pick and choose what skis you're going to want for what you're going to be doing most of for the day, and then just struggle on the other parts. Asnes makes backcountry skis without metal edges especially for skiing with dogs. The website shows them in various widths and sidecuts. It looks like they are mainly used for hunting (with dogs). Most of the time I'm fine on skate skis, even breaking moderate trails with the dogs pulling. When I go fast enough, even a skate ski floats! 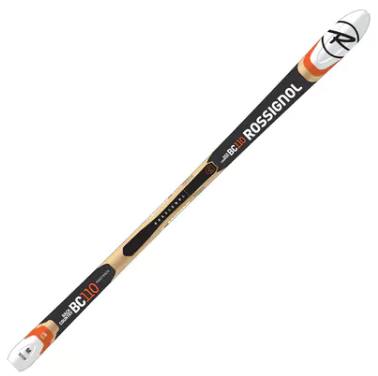 I've done fast BC single track and in very icy conditions with my two German Shorthaired Pointers pulling using my downhill setup, but I worry that the metal edge could cut the dog's leg or paw pretty badly. Although my control is excellent on this equipment and the dogs can really fly pulling me like a sled, poling and skating when necessary, accidents can happen. Sometimes I take off the skis and boot up short steep inclines with the dogs pulling me in the harness. 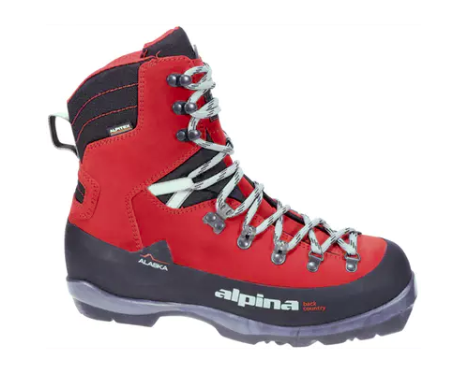 It's super easy even in Alpine boots. Sometimes the descents are too hazardous so I let the dogs run free and ski it solo. It's a hoot to carve turns at speed with the dogs speeding so some sidecut is fun. 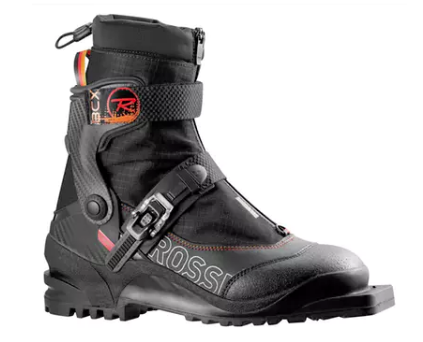 At speed in variable or deep snow, stiff high boots are nice. So I think, for next year I'll expand my quiver and get dog-friendly Asnes edgeless skis with moderate width and sidecut. 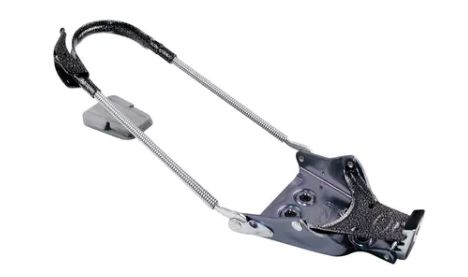 I'd choose 75mm cable bindings or perhaps minimal tech bindings (Dynafit Radical Speed Turn 2.0 Alpine Touring Ski Bindings) with heel lock. Boots will be T4's or very light AT. But my dogs are fast and I'm pretty light (100lbs of dog, 115lbs person) so that's the extreme control I need in some wildly fun conditions. Just don't use metal edges with any frequency or something bad could happen. A helmet with goggles is good on these days. Not the answer you're looking for? Browse other questions tagged gear safety united-states winter skiing or ask your own question.